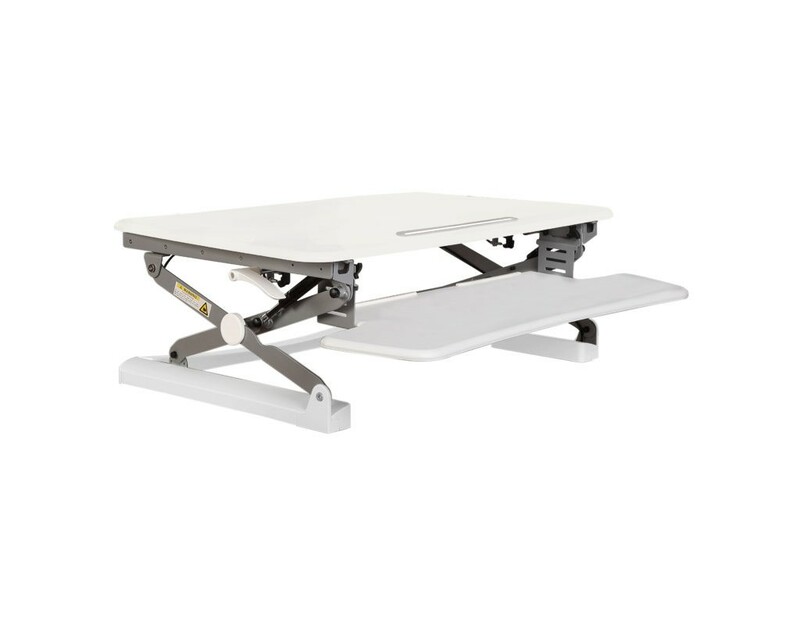 A compact desktop riser that converts your desktop in to a height adjustable standing desk. Suitable for a single monitor. The WorkFit-Z Mini is equipped with the features you need most – easy adjustment between sitting and standing, space for your smart devices and a grey finish that complements your office décor. Ideal for single monitors or notebooks, this compact standing desk converter allows you to turn your work surface into a height-adjustable standing desk with one simple movement. It’s that easy. Together with a cable-free worksurface and comfortable keyboard tray, the WorkFit-Z Mini is an office essential for incorporating movement into your work day. Supports up to 11.4 kg.